Color and font customization are live! We’ve got some big news for you: Color and font customization are now live on Gamer Launch! The moment you’ve been waiting for is here! 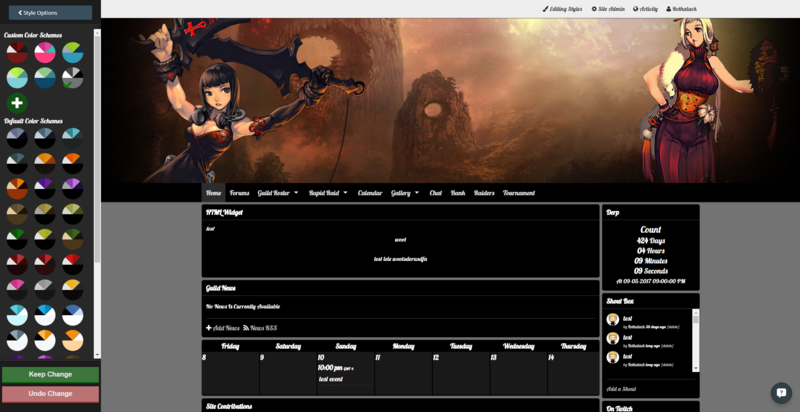 The new color scheme editor allows you to choose custom colors for all sections of your Gamer Launch site. With this new editor, you can either use pre-generated color schemes, or you can go fully customized and choose different colors for every last section. Continue reading Color and font customization are live!